KUALA LUMPUR: Thailand have assured their crown as Southeast Asia’s football king remained in their hands after emerging champions of the 2014 AFF Suzuki Cup with a 4-3 aggregate win over Malaysia in the second leg final at the National Stadium in Bukit Jalil here tonight. Despite losing 2-3 in the match tonight, the Thai squad under coach Kiatisuk Senamuang were crowned champions following their first leg 2-0 win advantage at the Rajamangala Stadium in Bangkok on Wednesday. For the record, Thailand defeated Malaysia 3-2 in a Group B match in the preliminary round at Jalan Besar Stadium in Singapore on Nov 26. The success saw the Thais lifting their fourth title after being champions in 1996, 2000 and 2002. 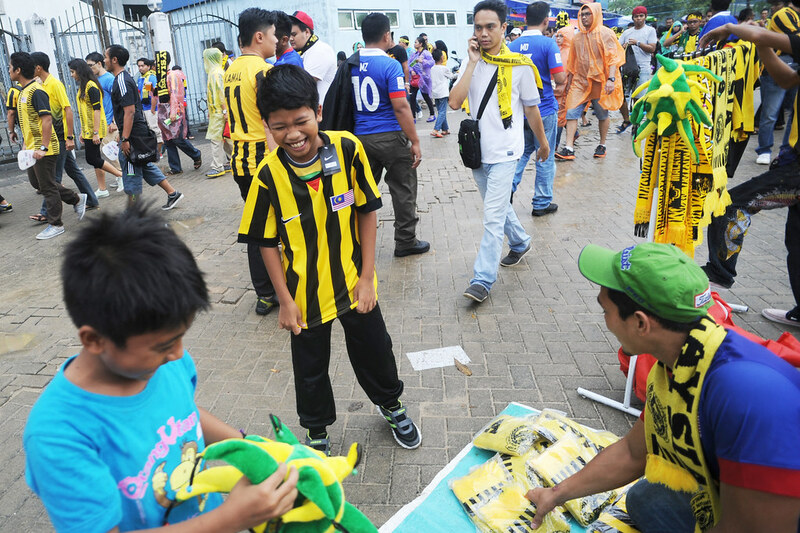 Dannish and his brother Darwish in Bukit Jalil Stadium to support Malaysia as it faces Thailand in the final AFF Suzuki Cup 2014. 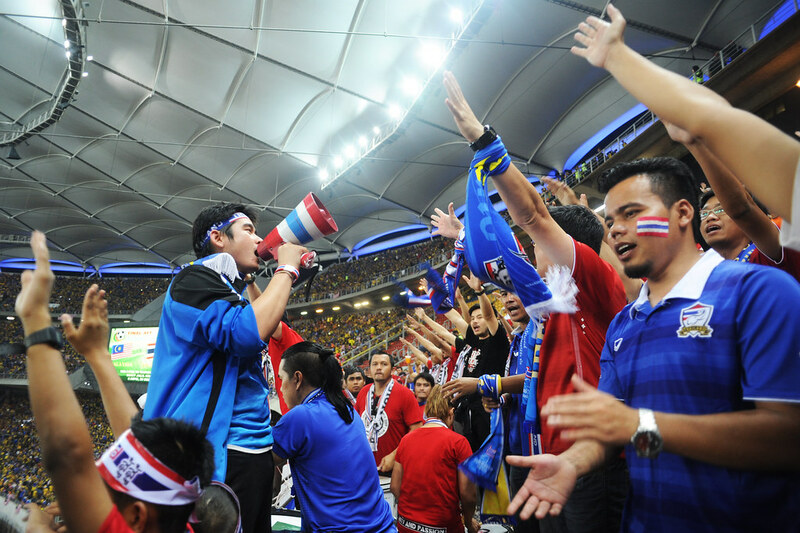 Malaysian fan in conjunction with the Tournament AFF Suzuki Cup 2014 final against Thailand at the National Stadium in Bukit Jalil. 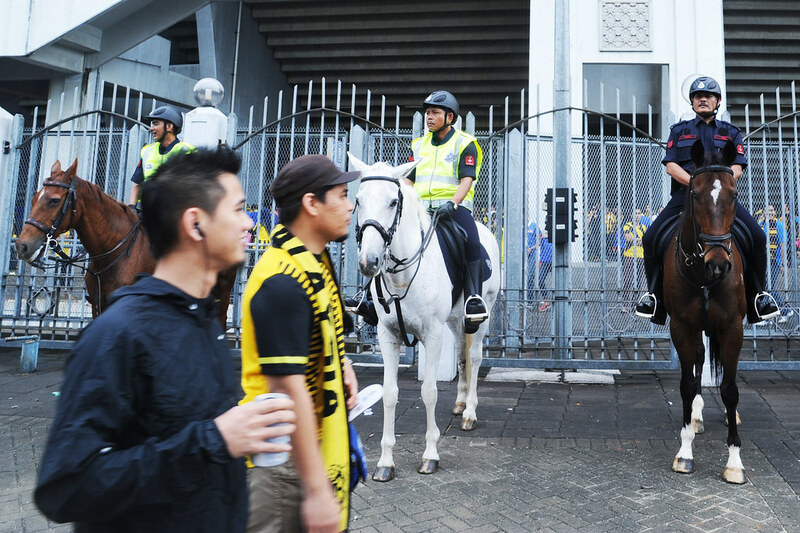 Malaysian fan crossby the police calvary unit in conjunction with the Tournament AFF Suzuki Cup 2014 final against Thailand at National Stadium in Bukit Jalil on Dec 20, 2014. 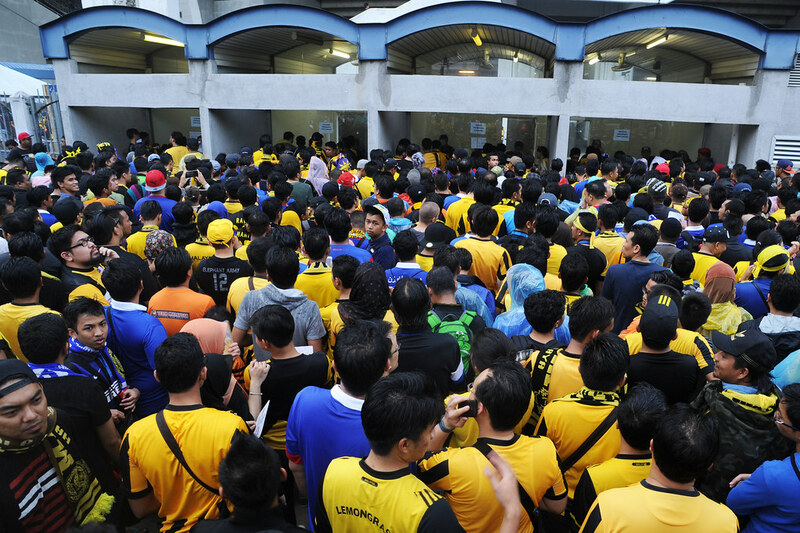 Malaysian fans waiting to collecting their online ticket for the AFF Suzuki Cup 2014 final against Thailand. 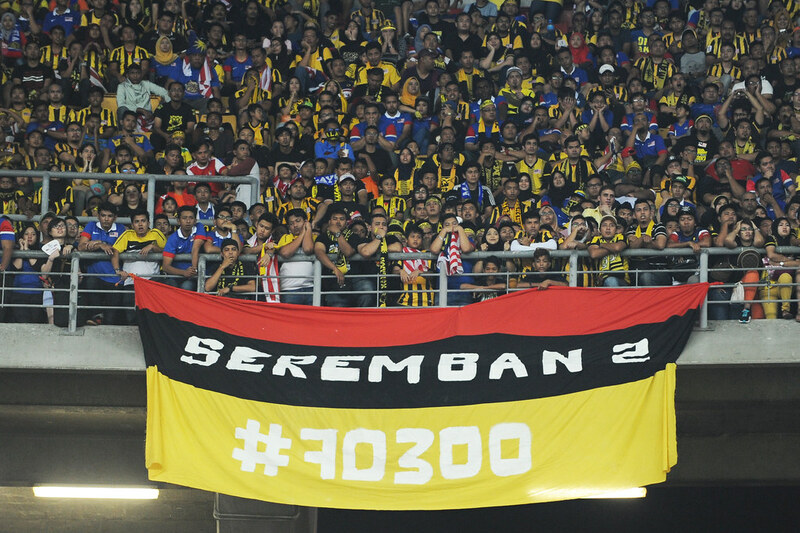 Supporters of Harimau Malaya and Thailand unite as they come out in droves to support their teams at the Bukit Jalil Stadium for the final AFF Suzuki Cup 2014. 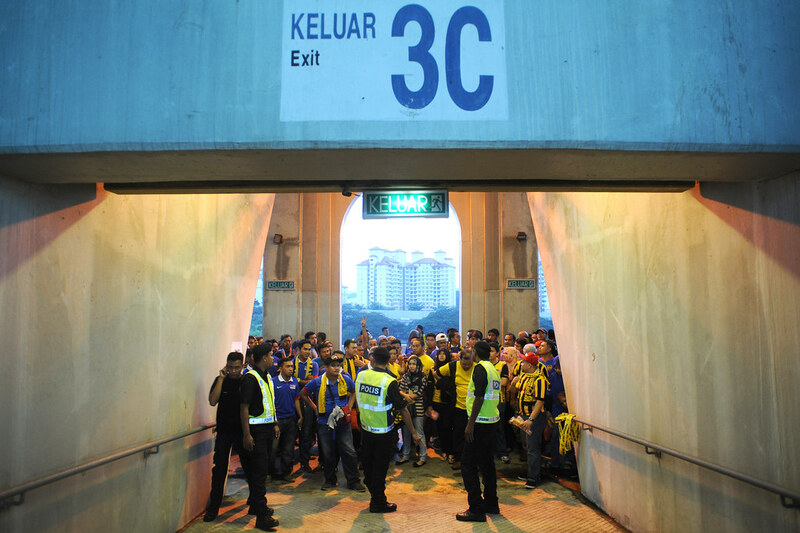 Malaysian fans waiting to enter the spectator place at the Bukit Jalil Stadium for the AFF Suzuki Cup 2014 final against Thailand. 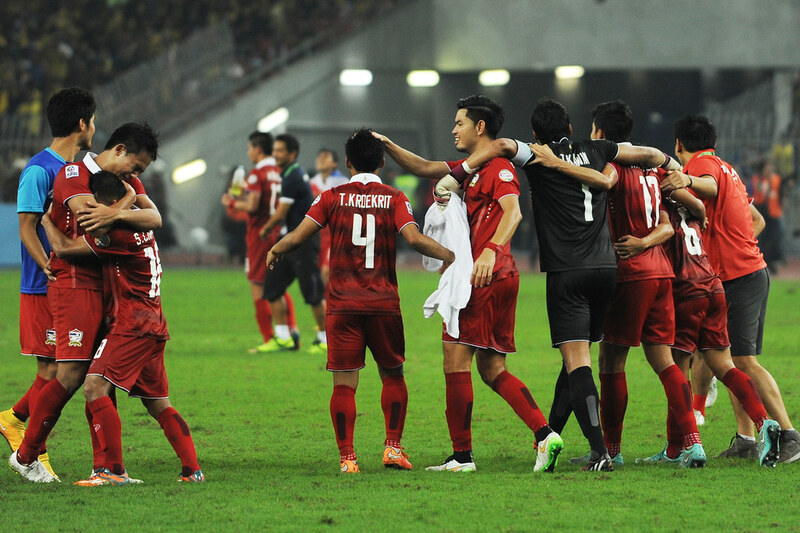 And they are able to go in for the AFF Suzuki Cup 2014 final against Thailand. 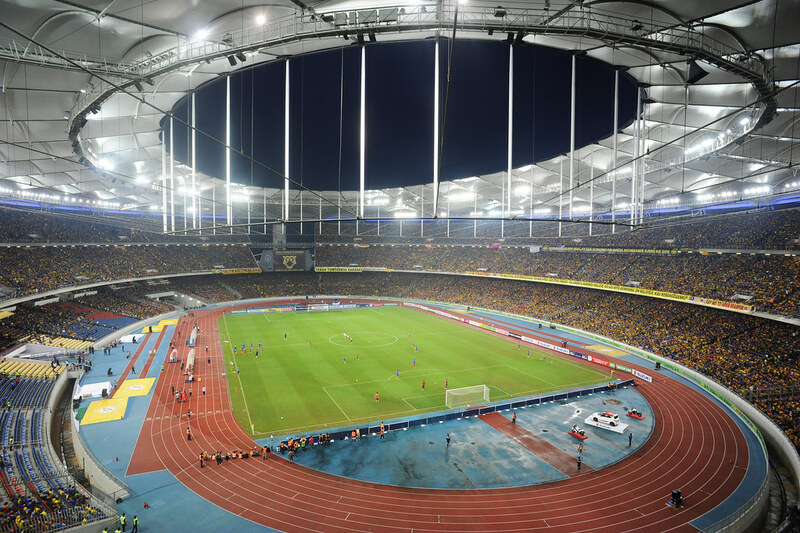 The National Stadium in Bukit Jalil atmosphere filled with fans that waiting for the AFF Suzuki Cup Final 2014. 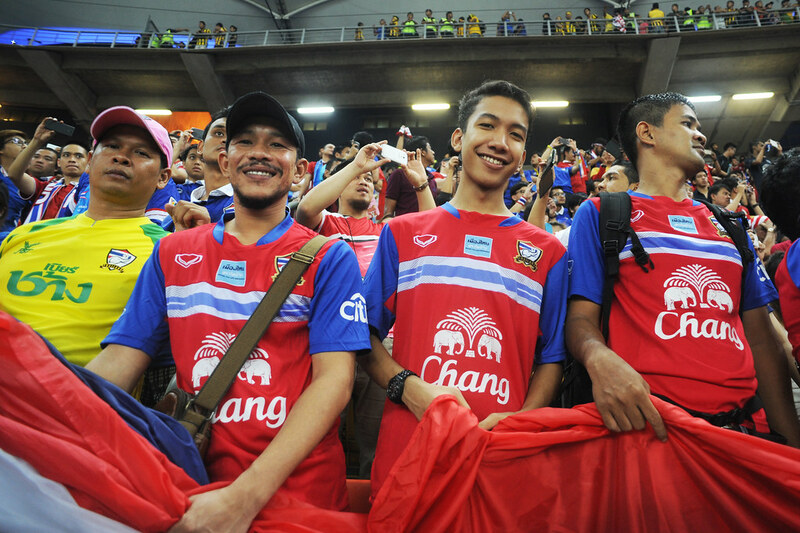 Thailand fans at the National Stadium in Bukit Jalil for the AFF Suzuki Cup 2014 final. 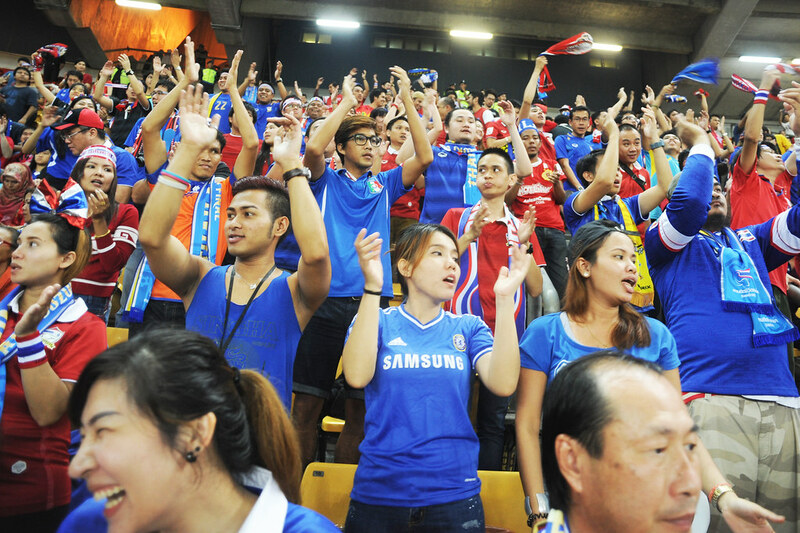 Thailand fans at National Stadium in Bukit Jalil for the AFF Suzuki Cup 2014 final. 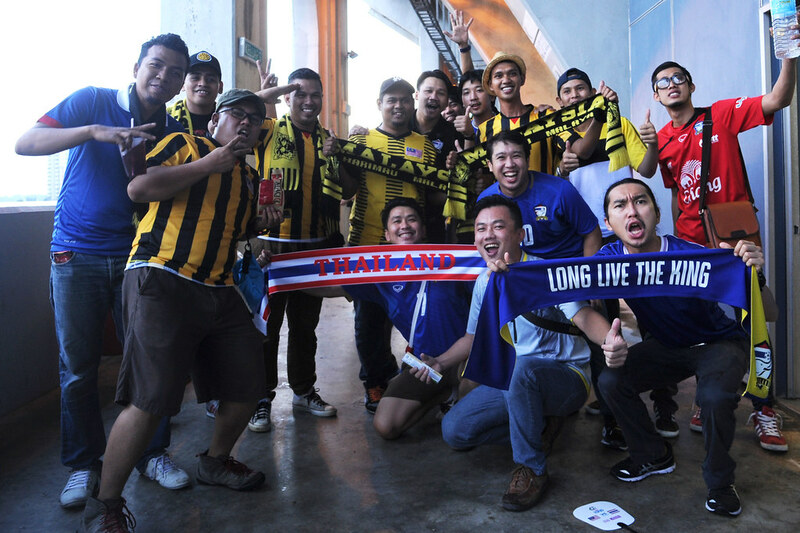 Malaysian fans at National Stadium in Bukit Jalil for the AFF Suzuki Cup 2014 final. 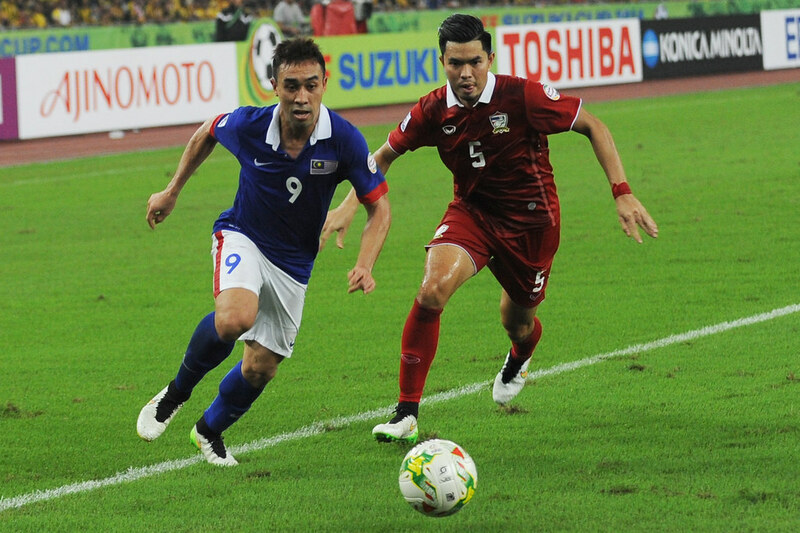 Malaysia player Indra Putra (Blue) and Thai player W. Narubadin (red) in action during AFF Suzuki Cup 2014 Final Match at National Stadium in Bukit Jalil on Dec 20, 2014 on Dec 20, 2014. Thailand midfilder Y.Sarach (red) in action during AFF Suzuki Cup 2014 Final Match at National Stadium Bukit Jalil on Dec 20, 2014. 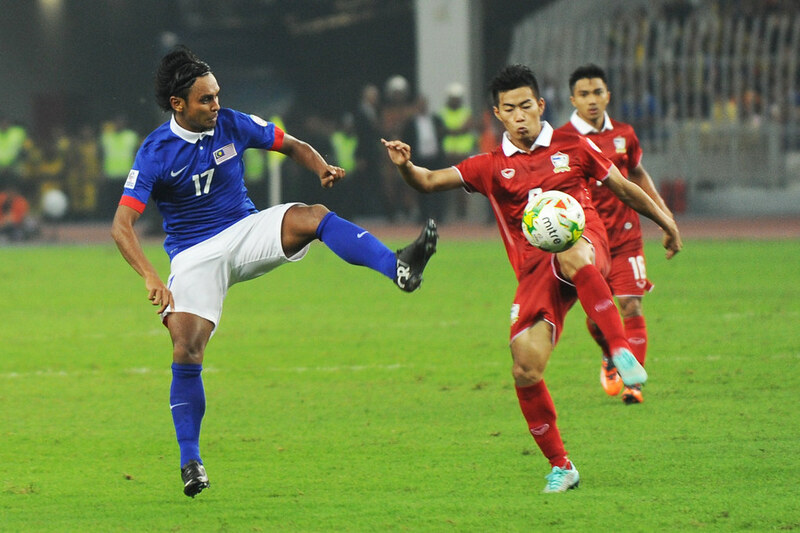 Malaysia captain Shukor Adan (Blue) in action during AFF Suzuki Cup 2014 Final Match at National Stadium in Bukit Jalil on Dec 20, 2014. Malaysia player Afif Amirudin (Blue) in action during AFF Suzuki Cup 2014 Final Match at National Stadium in Bukit Jalil on Dec 20, 2014. Malaysia goal keeper Farizal Marlias celebrates a Malaysia goal during AFF Suzuki Cup 2014 Final match between Malaysia vs Thailand at National Bukit Jalil Stadium on Dec 20, 2014. Malaysia player Amri Yahya (Blue) in action during AFF Suzuki Cup 2014 Final Match at National Stadium in Bukit Jalil on Dec 20, 2014. 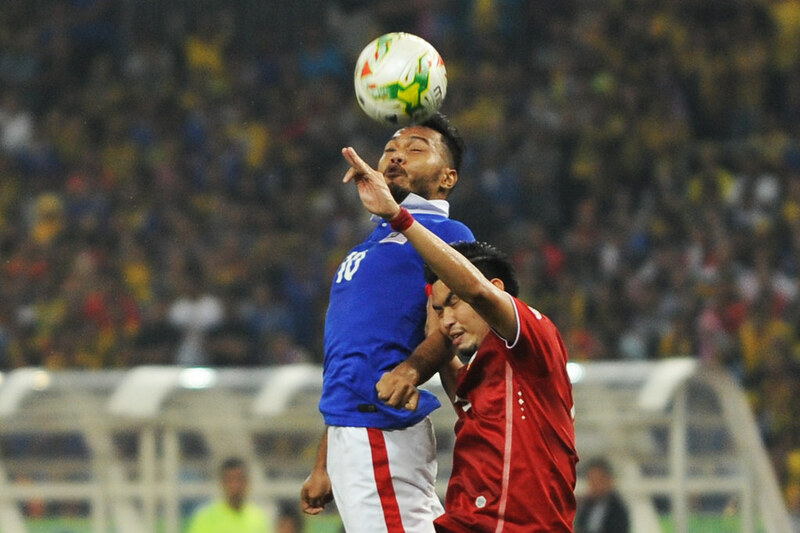 Malaysian forward Safee Sali (Blue) in action during AFF Suzuki Cup 2014 Final Match at National Stadium Bukit Jalil on Dec 20, 2014. Malaysian forward Safee Sali (Blue) in action during AFF Suzuki Cup 2014 Final Match at National Stadium in Bukit Jalil on Dec 20, 2014. 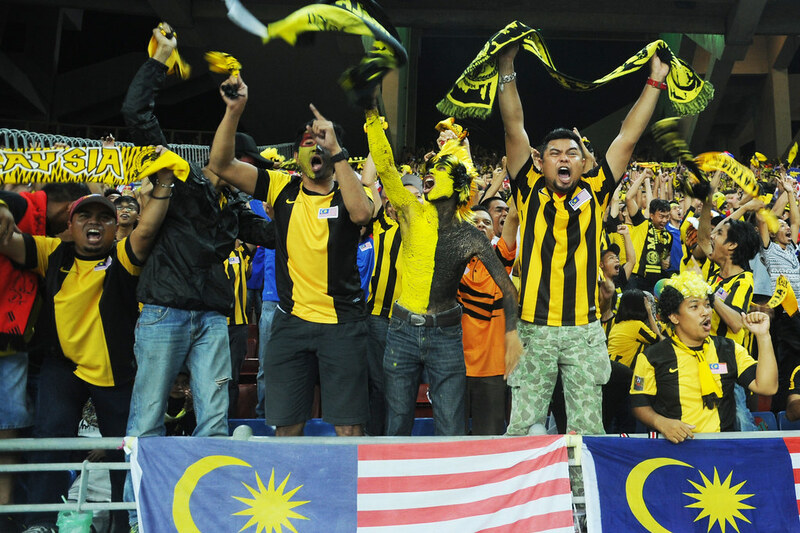 The Ultras of Malaya at the Bukit Jalil Stadium for the AFF Suzuki Cup 2014 final. 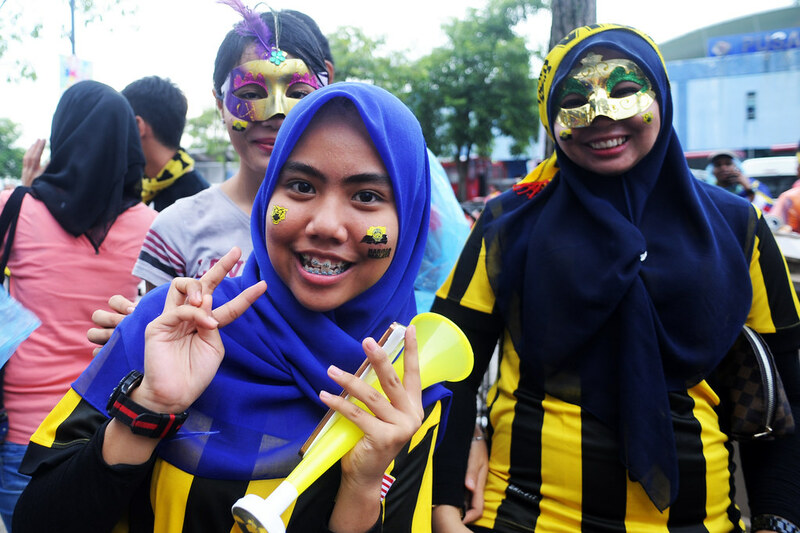 Malaysian Fan during AFF Suzuki Cup 2014 Final Match at National Stadium in Bukit Jalil on Dec 20, 2014. 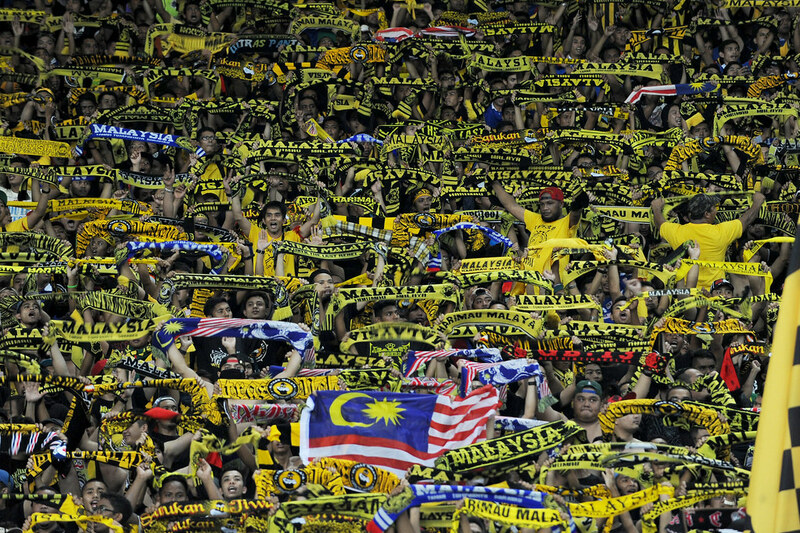 Malaysian Fans during AFF Suzuki Cup 2014 Final Match at National Stadium in Bukit Jalil on Dec 20, 2014. 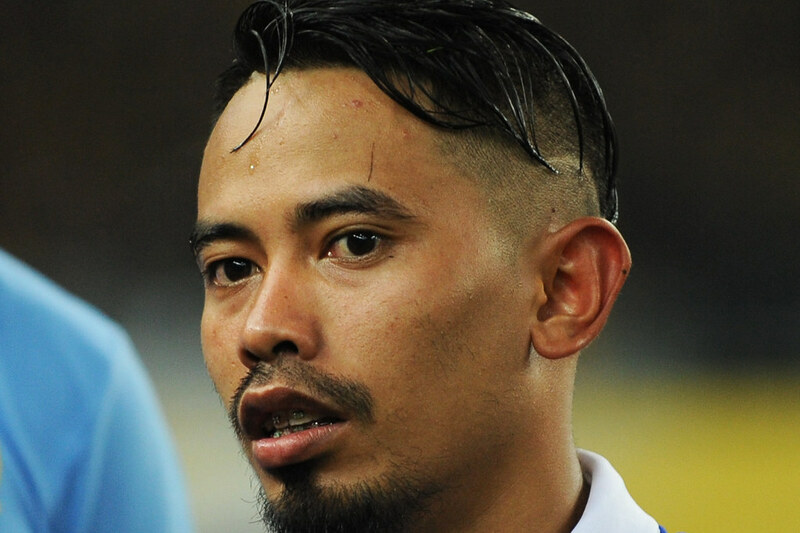 Malaysian forward Norsharul Idlan Talaha (Blue) in action during AFF Suzuki Cup 2014 Final Match at National Stadium in Bukit Jalil on Dec 20, 2014. Malaysian midfilder Safiq Rahim (Blue) in action during AFF Suzuki Cup 2014 Final Match at National Stadium in Bukit Jalil on Dec 20, 2014. Thailand goal keeper T.Kawin celebrates his team goal agains Malaysia during AFF Suzuki Cup 2014 Final match between Malaysia vs Thailand at National Stadium in Bukit Jalil on Dec 20, 2014. Thailand player celebrates their winning over Malaysia during AFF Suzuki Cup 2014 Final match between Malaysia vs Thailand at National Bukit Jalil Stadium on Dec 20, 2014. Thailand player celebrates their winning over Malaysia during AFF Suzuki Cup 2014 Final match between Malaysia vs Thailand at National Stadium in Bukit Jalil on Dec 20, 2014. 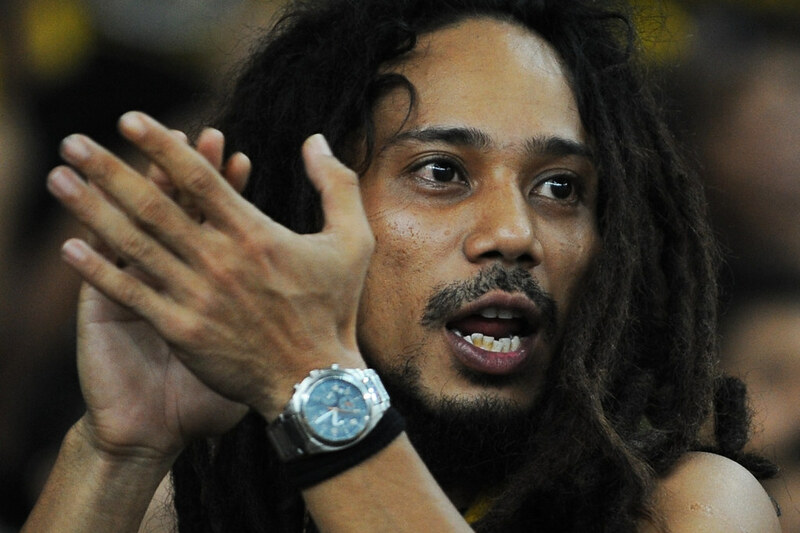 Malaysia football captain Shukor Adan waves to the fans after Malaysia lost to Thailand in the Suzuki Cup final on aggrerate at the National Stadium in Bukit Jalil on Dec 20, 2014. 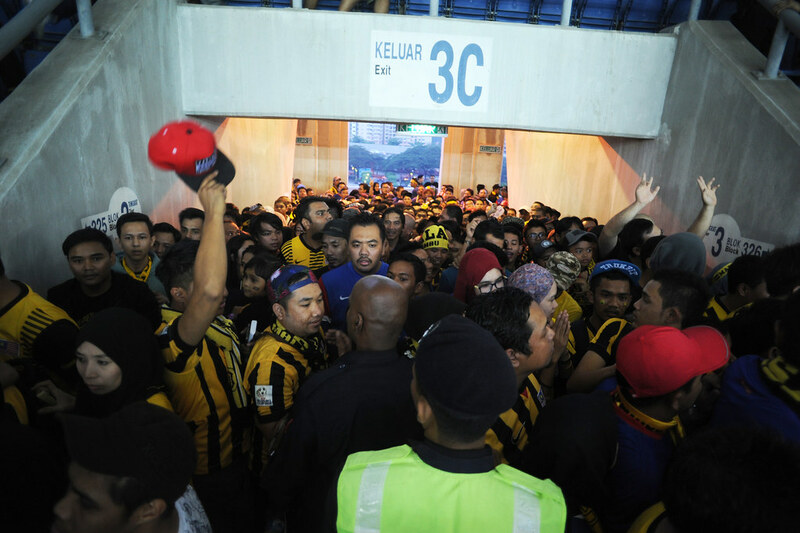 Malaysia goal keeper Farizal Marlias waves to the fans after Malaysia lost to Thailand in the Suzuki Cup final on aggrerate at the National Stadium in Bukit Jalil on Dec 20, 2014. 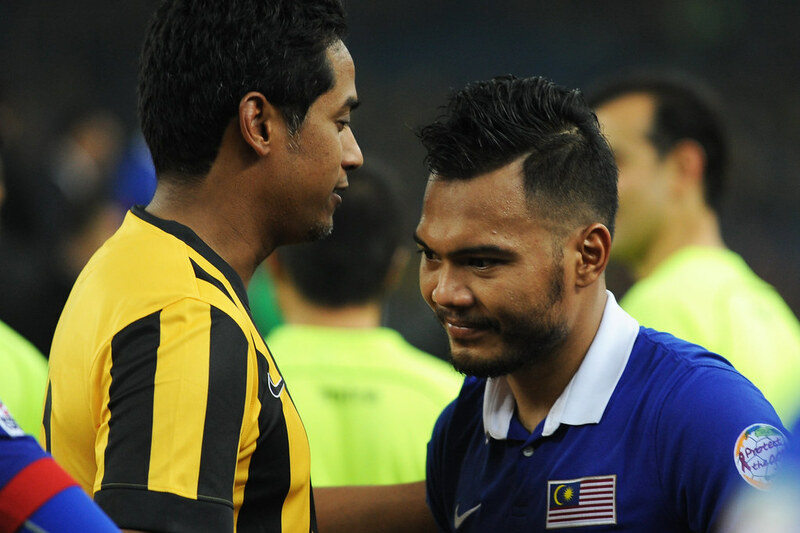 Malaysia’s Safee Sali (R) is comforted by YB Khairy Jamaluddin, Malaysia’s Minister of Youth and Sports after they lost their 2014 AFF Suzuki Cup finals against Thailand at the National Stadium in Bukit Jalil on Dec 20, 2014. Malaysia’s Norsharul Idlan Talaha (R) is comforted by YB Khairy Jamaluddin, Malaysia’s Minister of Youth and Sports after they lost their 2014 AFF Suzuki Cup finals against Thailand at the National Stadium in Bukit Jalil on Dec 20, 2014. 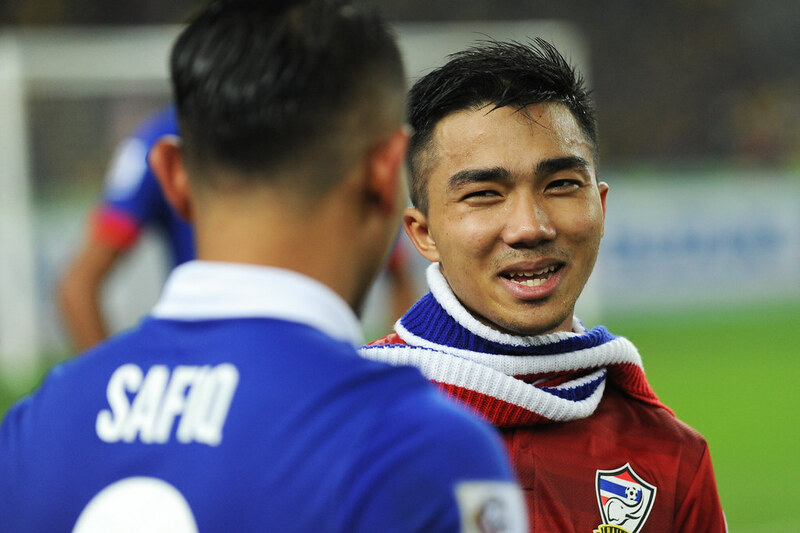 Chanathip Songkrasin of Thailand say somethings to his friend, Malaysia’s Safiq Rahim after the match. Thailand coach Kiatisuk Senamuang kisses the AFF Cup trophy after the 2014 AFF Suzuki Cup final against Malaysia at National Stadium in Bukit Jalil on Dec 20, 2014. Thailand coach Kiatisuk Senamuang at a press conference after his team win over in the AFF Suzuki Cup 2014 Final Malaysia at National Stadium in Bukit Jalil on Dec 20, 2014.